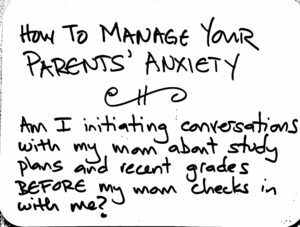 Parents, are you driven to anxiety whenever you check your students’ grades online? Students, do your parents ambush you with bad news after they’ve checked your grades? I’ve noticed that one of the biggest sources of frustration between parent and student is the way they talk about grades, especially if the parent has checks up regularly in the online grade books. 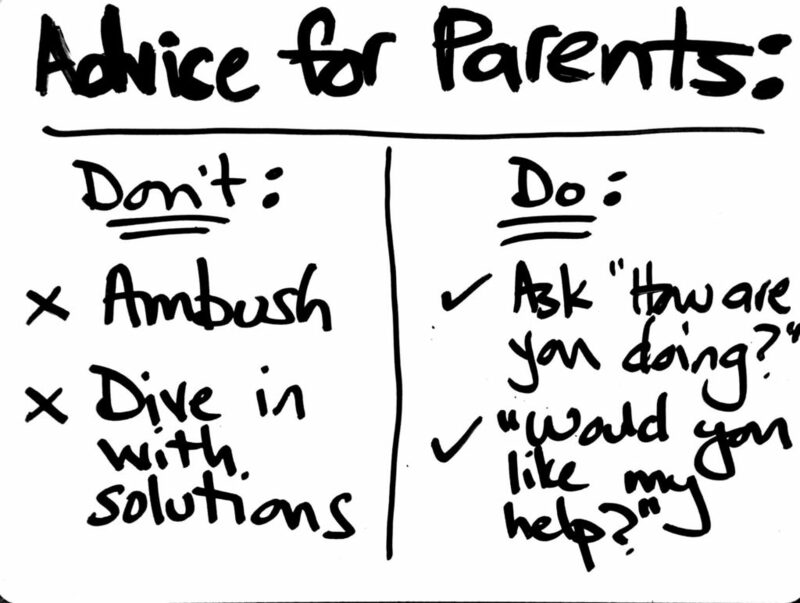 Last week I had a video from a 7th grader with his requests for his mom about how to talk to him about his school work. This week I share the mom’s response to these requests, including a story about how she has actually stopped checking his online grades! I was amazed, and ask her how she did it, as most parents I know are, for better or worse, obsessed with checking. 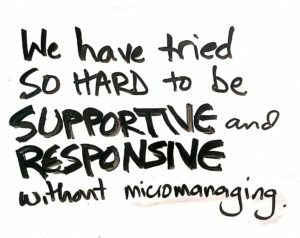 As a parent, teacher, mentor there are so many things we need to keep up with as we guide students. One new development at schools in the last year is the rise of vaping amongst teens. Is your student affected by this new trend in tobacco and marijuana consumption? Listen in to see what Megan and Gretchen say about Vaping in Schools. 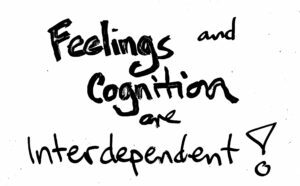 Sometimes small study tweaks can make a difference. 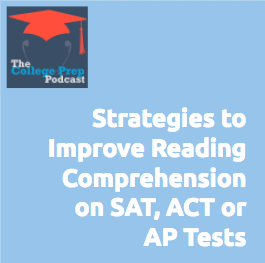 In this episode, Gretchen outlines seven small study techniques that can are easy to integrate into your homework time, and can help you be better prepped for tests. 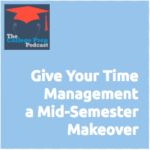 Take 3-minutes to quiz yourself before every assignment. 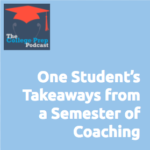 Make a quizzable study tool before each chapter test and save those tools for the final. 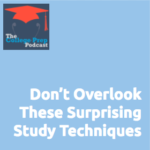 Listen in as Gretchen outlines seven small study techniques that can are easy to integrate into your homework time, and can help you be better prepped for tests. 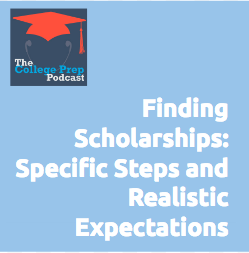 Click here to listen in as Megan provides 5 steps you can use to apply to your college or high school career. 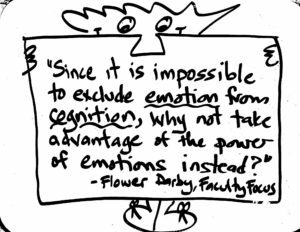 Students need to become familiar with failure earlier than their parents often let them. Megan and Gretchen discuss why it is important to let student fail small in the younger grades, and provide tips for how parents might back off as students transition from elementary to middle to high school. 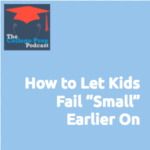 Click here to listen to Megan and Gretchen discuss how important it is to let your student fail small at a young age. 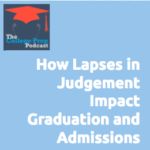 Teenagers often have lapses in judgement.But when these lapses go too far, how might it impact high school graduation or college admissions? Megan lays out 5 kinds of trouble that teens can get in and analyzes how that behavior might get in the way of their next steps and goals. Click here to listen in as Megan and Gretchen talk about 5 kinds of trouble that teens can get in. Sometimes nagging is necessary! 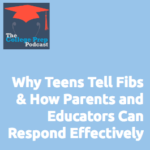 So how can parents do it in a way that will make teens receptive to their reminders and prodding? 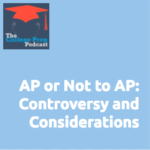 In this episode, Gretchen tells stories about how 3 different clients made agreements with their parents about how and when they are allowed to nag them. 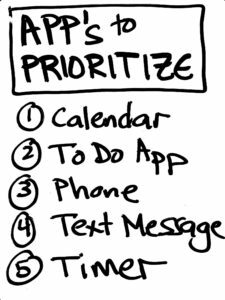 These “family nag plans” can make a big different in terms of helping teens follow through and also preserving the peace at home. 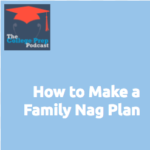 Click here to find out more about how to create a family nag plan that will work in your unique circumstances!